Deciding how to pay for a college is one of the major financial decisions that many people make in their lifetime. There are many options out there, and making wise financial decisions is important. 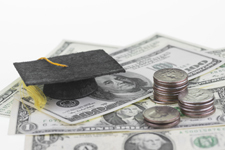 The Consumer Financial Protection Bureau (CFPB) has put together some tools and resources to help you make good decisions regarding paying for college.